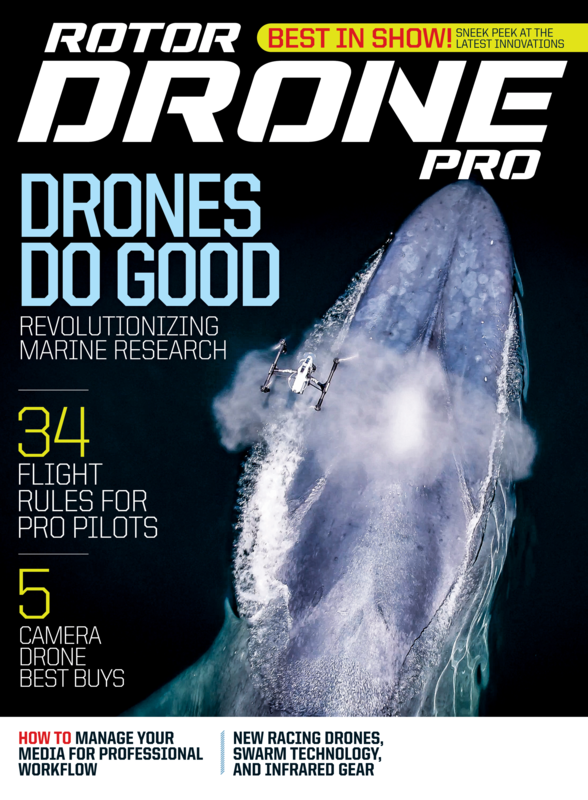 The first magazine of its kind, Rotor Drone Pro lets you pilot your adventure by showcasing all types of multirotor aircraft, from easy-to-fly micros to sophisticated giants as well as all the latest accessories and must-have gear. Get professional-quality photos and video with our expert tips and insider flight secrets. Each issue of Rotor Drone Pro is filled with the latest multirotors and gear as well as interviews with people who are using these machines everywhere from Hollywood movie sets to action sports arenas. Give the gift of Rotor Drone Pro which includes digital access across PC, Mac, iPad, iPhone, and Android! The promo code "I9DC01" has been applied.